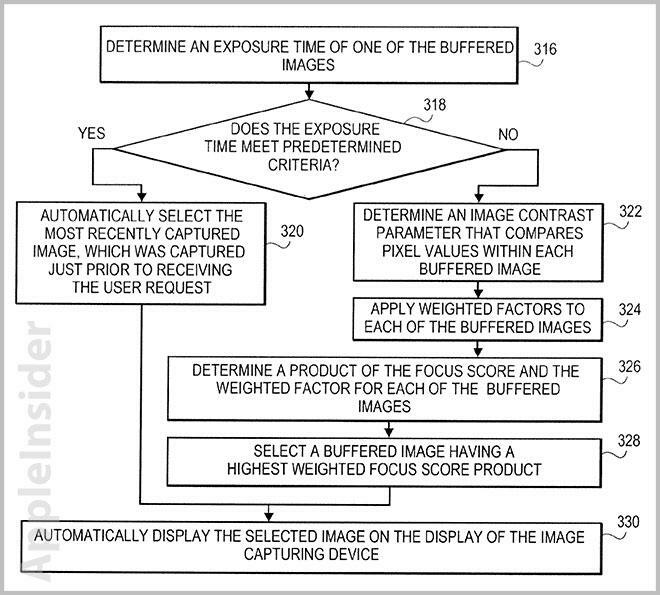 In a patent filing discovered on Thursday, Apple describes a digital camera implementation that continuously captures and stores images in a buffer until the user releases the shutter, at which time the system automatically selects the best picture based on a number of predetermined variables. 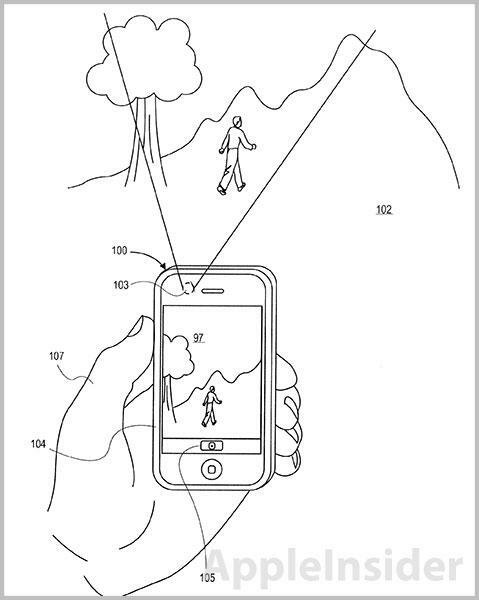 Filed with the U.S. Patent and Trademark Office in October of 2012, Apple's "Image capturing device having continuous image capture" offers owners of small, portable devices more leeway when trying to get the perfect shot. While smartphones like the iPhone have relatively high-quality camera systems, the products are not purpose-built for picture taking and come with a multitude of compromises. For example, a smartphone's optics and imaging sensor are minuscule compared to modern equivalents seen in full-size DSLRs and pocketable point-and-shoots. The lack of a powerful image processor and other vital components just add to the challenge of getting high quality photographs from a handset's camera. These image capturing devices typically use a preview resolution for capturing a preview image of a scene. Subsequently, a user provides an input to take a photograph. The device switches from preview resolution to full resolution prior to capturing an image. Switching from preview to full resolution causes a time lag, which may lead to user frustration. Also, camera shake during the time when a user presses a button or touches a touchscreen can degrade image quality. The iPhone 5, for example, offers a preview image not quite at full resolution. This allows for fast screen refresh times that give a better overall user experience by simulating a "live" environment. Preview quality is most noticeable when zooming in on a subject, when the image becomes pixelated and sometimes blurry. Apple's system starts up when a user launches a photo app like Camera, continuously capturing and storing sequential full-resolution images to a buffer. When a request is given (shutter press or screen touch), the system pulls from the pool and chooses one image based on when it was captured, its quality, or a combination of the two. Depending on the quality of the image, the processing logic can select the photo from either the buffer or concurrent to when the shutter is pressed. The system uses a "focus score" to based on contrast, image resolution, dynamic range and color rendering properties. By weighting the scores of tagged images, along with factoring in exposure time, the logic can choose which photo to use. Memory is conserved by purging the buffer at a predetermined time, or when capacity reaches a certain threshold. Example flowchart of processing logic. In one embodiment, the selected picture can be displayed on screen in full resolution immediately after a request as confirmation for the user. It is not clear if this exact technology is being implemented in iOS and devices like the iPhone, iPad and iPod touch, but some aspects of the invention can be seen in Apple's latest products. The patent application was first filed for in October of 2012 as a division to another co-pending filing from 2009, and lists Ralph Brunner, Nikhil Bhogal and James David Batson as its inventors.